Between 1997 and 2005, Carousel Ranch operated out of five locations! 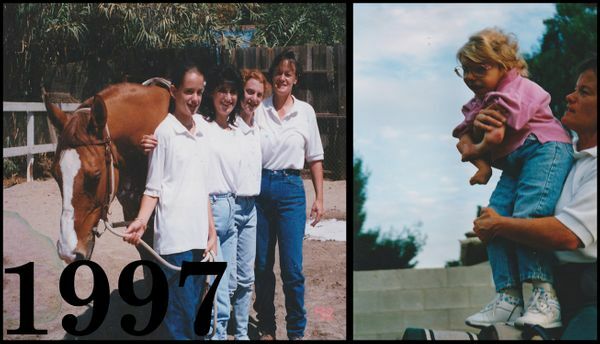 After leaving the backyard in fall of 1997, the program moved to the Sylmar Equestrian Center, then to a private home off of Polk Street. From there we landed in our first Santa Clarita location, at Atlasta Ranch in Placerita Canyon. After four years, we moved to Ravenhill Road in Sand Canyon. Our dream of a permanent home became a reality in October 2005, as we were finally able to find and buy our incredible 10+ acre ranch in Agua Dulce. From the beginning, building a covered arena has been a dream and vision for the staff and board of Carousel Ranch. Friends and supporters rallied together to make our dream a reality. In 2014, after years of work on the campaign and building project, the program’s long awaited area is everything we dared to imagine (and so much more). In 2015, the incredible gift of $100,000 made by Supervisor Antonovich, allowed us to officially start our new “Ready to Work!” program. Prior to this donation, we had been integrating vocational training into our curriculum with some of our older students on a very limited basis. What started with five students working informally on the ranch is now a fully operating vocational training program. This program has two components including a classroom based curriculum which is then brought to life through actual work in the “Tack Shack” storefront, run by the students, as well as various jobs around the ranch. Sometimes it is hard to believe that so many have passed since we started Carousel Ranch in 1997. So much has happened, and today – the Ranch is so much more than we ever dared to dream. Today, we serve 85 children each week in individual therapy sessions, plus an additional 12 young adults with disabilities each week in our vocational training program. 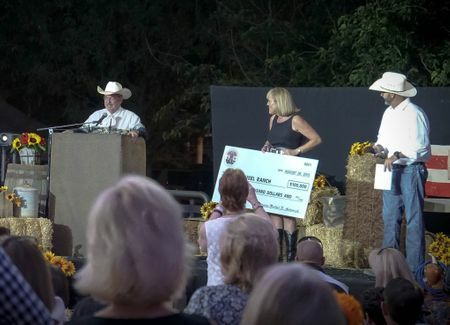 Our hopes and dreams for Carousel Ranch continue to grow and change through the years. One thing, however – has never changed and that is our love and passion for the work that we do here. The children are our inspiration, and there is nothing that we love more than being with each and every one of them, and being a part of their successes.